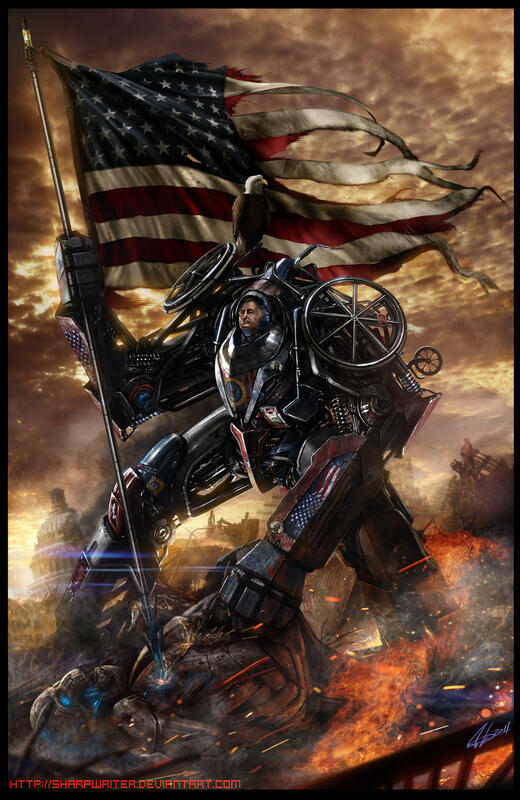 This is a painting of Franklin Delano Roosevelt as a Transformer who is fighting evil, obvs. Apropos of the 'murican holiday. He has a whole series of American presidents and other founding luminaries in various states of peril, kicking zombie asses while riding velociraptors and the like. It is all 100% historically accurate, he says.